One of my sins was working for Shimon Peres for four years. He didn’t stop talking about putting an end to the occupation. He didn’t stop talking about it’s not democratic and not justice that one people governs another people. Beautiful ideas that Binyamin Netanyahu and those right-wingers would have never said. But by the end of the day, Nobel Prize winner Shimon Peres is the founding father of the settlements project. So what do we get out of this nice rhetoric except showing a nice face of Israel and doing the very, very, very same crimes? If we are the chosen people, who are you to tell us what to do? Who are you? Who is the international community to tell Israel what to do? International law, wonderful thing—it doesn’t apply to us. It applies to any other place on earth, but not to Israel, because we are the chosen people. Don’t you understand it? Maybe you are holding the key for any kind of change, for any kind of hope, because, as I’ll try to claim later on, the hope for change within Israeli society is so limited. It’s nonexistent. When the United States is still so crucial, people like you really can make the difference. People like you can really be a game changer, and I mean it. Never before have Israel and the United States shared the same values as in these days. The only place on earth that Donald Trump is beloved, admired, adored and appreciated is Israel. The only place that Binyamin Netanyahu is admired, adored, beloved is the United States. If this is not shared values, what is shared values? Some of my ex-best friends are on their way now to the real thing, to the AIPAC conference which will start on this weekend—politicians, journalists, to what I call the annual drug dealer’s conference. They will discuss how many more drugs will they send to the Israel occupation-addicted state, how much more friendship will they express, and how much more money and weapons will they supply. I can tell you in the United States, as an Israeli, we don’t have a bigger enemy than the Jewish lobby. We don’t have a bigger enemy for justice, for peace, for equality than those who think that if you supply the drug addict with more drugs you are his friend; that if you support him blindly and automatically whatever he does, you are a friend. No, my friends, those are not friends, those are enemies. I can’t tell you how happy and proud I am to be here today and not there tomorrow. The title of my lecture speaks about Zionism, and Zionism is one of the two religions of Israel. As a religion, as with any religion, you can’t question it. The second religion is obviously the religion of security. So between Zionism and security, anyone in Israel who dares to raise any kind of question mark is immediately perceived as a traitor. It’s impossible to describe to you what does it mean to say that you have some questions about Zionism. Imagine yourself if you question today the other religion, if you claim that the Israeli idea of the Israel Defense Forces [as the world’s most moral army] are not the most moral army in the world—let’s say they are the second most moral army in the world—how dare you! We are getting it with the milk of our mothers, even though my mother was not such a Zionist, I think. But it’s very hard to understand from the outside how an ideology became part of the DNA, how an ideology became something which must be taken for granted and there is no room for any question marks. I know it about myself. I know how I grew up. 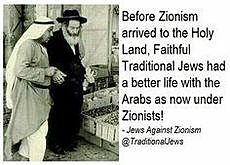 I know what I thought about those very, very, very few who claimed that they were not Zionist or, God forbid, anti-Zionists. They were the Satans, even though they were Jews and Israelis. I don’t recall one example on earth in which an ideology is so totalitarian, is so saintly, is so holy that you have no right to put any kind of doubts or question marks—nothing. Not about the past, not about the future, not about the present—nothing. It’s unbelievable when you live in a state in which, if you declare that you don’t accept this ideology, you are not part of the place. You are not part of society. You have no place there. Go to Gaza. Go to Damascus. Don’t stay here. This leads me to the title. Because when it comes to Zionism—and friends, we have to face reality—when it comes to Zionism, there is no difference in Israel between left and right. When it comes to the occupation, which is part and parcel of Zionism, there is no meaningful difference between left and right in Israel. When I mean left and right, I mean this so-called Zionistic left, Labor and others, and the right-wingers. The difference is only by rhetoric. So those of you—and I know some of my Israeli friends who bought already some champagne bottles—ready to open them the moment that Binyamin Netanyahu will be impeached or even go to jail, and they will celebrate how Israel is coming from darkness to light, how freedom and peace is around the corner because we got rid of the tyrant, the right-winger, the fascist and after this the light is around the corner, I have bad news for you. Because by the end of the day, when you judge the real policy—not the rhetoric—yes, Labor and left are having much more sympathetic rhetoric between other sins that I committed. I’m here not to spread optimism, as you might know me by now. But when it comes to the basic, Israel is really united. I still remember, Grant, those days in which the joke was that three Israelis shared—sorry, I spoiled it. That two Israelis share three views. 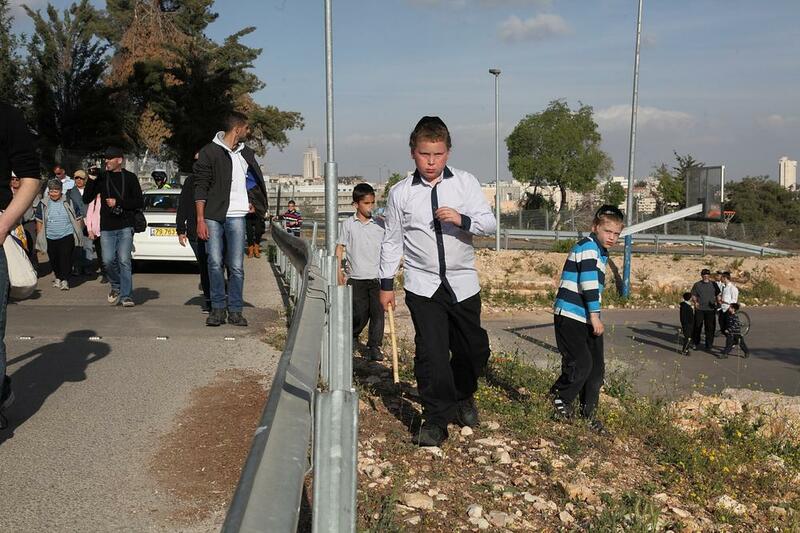 Today three Israelis share hardly one view and it will be not only Zionist, but pro-occupation. As you might know, occupation is off the table in Israel. Nobody talks about it. Nobody discusses it. Nobody’s concerned about the occupation. It is like one of those things—like the rain, like the sun—force majeure. Some like it. Some like it less. But nobody thinks that anything can be done about it. It doesn’t bother us so much, that’s the truth. It’s only half an hour away from our homes, but who hears about it and who cares about it? The crimes are on a daily basis—really, a daily basis. The media hardly covers them. If they cover them, it will be always according to the Zionist narrative. A terrorist of 12, a girl of 14 with scissors in her hands, as an existential threat to the state of Israel. A girl who is slapping a soldier is someone who deserves a life sentence, not less than this. A girl that one hour before, her cousin was shot in his head 50 meters away from her home. So now the Israeli army claims that this was fabricated. I mean, even the Israeli propaganda has lost its shame. When Israel dares—dares—to claim that this child, Mohammed Tamimi—whom I met a few days after he was injured, he lost half of his brain—that he fabricated his injury, then you see that Israel is really desperate. If Israel needs this kind of level of propaganda, if Israel is getting so low in denying shooting in the head of a child of 15 and claiming that he fell from his bicycle, then you know that things are getting worse. Maybe it’s a hope for a new beginning, but right now look how low does it get there. All those are passing Israeli society as if nothing is happening. No question marks, very little moral doubts if at all, a cover up, living in denial like never before. I cannot think about one society which lives in such denial like the Israeli society. Again, it includes left and right, except for the very devoted extreme left activists, let’s remember them. But they are really small in [numbers] and totally, totally, delegitimized. So when I speak about left, I mean Labor: Yeshuati—the new promise of Israeli politics, maybe the next prime minister—Yair Lapid and all the rest. In many ways they’re worse than the right-wingers because they feel so good about themselves, because they are so sure that they are so human and universal and moral. While the right-wingers at least don’t cover up, they say, yes, we are fascists. So what’s wrong about it? We are Jews and we have the right to be fascists. Because we are the chosen people, we have the right, and nobody’s going to tell us what to do. When it comes to the central left, as it’s called—I can hardly pronounce it, central left, what do those people have to do with left? But when it comes to the central left, it’s a rare combination, you feel so good about yourself. You are not one of those fascists. You are not one of those nationalist racists, you are a liberal. But the occupation must go on, and the child—Ahed Tamimi—must stay in jail forever, and the crimes must continue because we have no other choice. Which brings me to the set of values which I see as the core of Israeli society nowadays, three or four sets of values which explain everything, in my view. The first very deep-rooted value, let’s face it, is the value that we are the chosen people. Secularists and religious [alike] will claim so. Even if they don’t admit it, they feel so. The implementation is very simple: If we are the chosen people, who are you to tell us what to do? Who are you? Who is the international community to tell Israel what to do? International law, wonderful thing—it doesn’t apply to us. It applies to any other place on earth, but not to Israel, because we are the chosen people. Don’t you understand it? Asylum seekers—88 percent of the Eritreans are recognized as refugees in Europe. You know how many of them in Israel? Less than 1 percent—less than 1 percent! Why so? Because we are a special case, you don’t expect us to absorb 40,000 asylum seekers. How can you expect us? We can’t. We can’t. We are the chosen people and we don’t need to prove it. The second very deep-rooted value is obviously the value of “we the victims”—not only the biggest victims, but the only victims around. I know many occupations which were longer than Israeli occupation, some were even more brutal, even though it’s getting harder and harder to be more brutal than the Israeli occupation. I don’t recall one occupation in which the occupier presents himself as the victim—not only the victim, the only victim. If to paraphrase here, if to quote here the late Golda Meir—whom I quoted also last time, I know, but it is so unforgettable I have to use it again. She once said that “we will never forgive the Arabs for forcing us to kill their children.” We are the victims. We are forced to kill their children—poor us. As the victim and the only victim in history, again, it [gives] us the right to do whatever we want, and nobody is going to tell us what to do because we are the only victims. They not only threw them out but moved into their fully furnished houses too, including Golda. To this there’s a third very deep-rooted value, and this is the very deep belief—again, everyone will deny it, but if you scratch under the skin of almost every Israeli, you’ll find it there: The Palestinians are not equal human beings like us. They are not like us. They don’t love their children like us. They don’t love life like us. They were born to kill. They are cruel. They are sadists. They have no values. No manners. Look how they kill us. This is very, very deep-rooted in Israeli society, and maybe that’s the key issue, because as long as this continues, nothing will move. As long as most of the Israelis don’t perceive the Palestinians as equal human beings—we are so much better than them, we are so much more developed than them, and we are so much more human than them. As long as this is the case, all our dreams—and we have some dreams, and I’ll get to them—all our dreams will never become true as long as this core issue will not change. So you have a society with a deep conviction in its justice, in its right way, with very, very few question marks. Anyone who dares to raise a question mark is immediately, in a systematic way, is immediately erased, demolished. It’s unbelievable how this machinery works in Israel. We are talking here about how efficient the Jewish lobby is here. Look at the Jewish [group], so-called in Israel: Breaking the Silence. For years we were dreaming about the day that soldiers will stand up and say the truth, not Gideon Levy, the liar, the traitor who tells us all kind of stories about Israeli crimes. No. Soldiers who have committed those crimes will just come and testify about what they have been doing. And here it came. Over 1,000 testimonies of soldiers who in a very brave way gave their testimonies about what they have been doing in the occupied territories throughout the years. This should have been an earthquake in any healthy society. It’s our sons. But what happened? Nothing. Breaking the Silence was immediately delegitimized by the establishment, with the typical collaboration of the Israeli media. I’m afraid to say that Breaking the Silence is crushed today. This is just one example. Israeli society, especially in the last years, has a very clear intention to crush any kind of criticism from within and from outside. This is going through legislation, through campaigns, through the media. It’s just in its beginning. In this way, I must say, there might be a slight difference between so-called left and right in Israel, because the Israeli left has some kind of commitment, at least for the democracy for the Jews, because, as you might know, Israel is maybe the only place on earth with three regimes. We are having three regimes. One is the so-called liberal democracy for Jewish citizens, which has many cracks now, but it is still functioning. I have total freedom in Israel, this must be mentioned here. I write whatever I want. I appear on TV. I can’t claim that someone is shutting my mouth, except people in the street who wouldn’t like to see me or spitting at me or who are threatening me. But by the end of the day this freedom, which I don’t take for granted and might not last for long, this freedom is there. So that’s the first regime in the front. 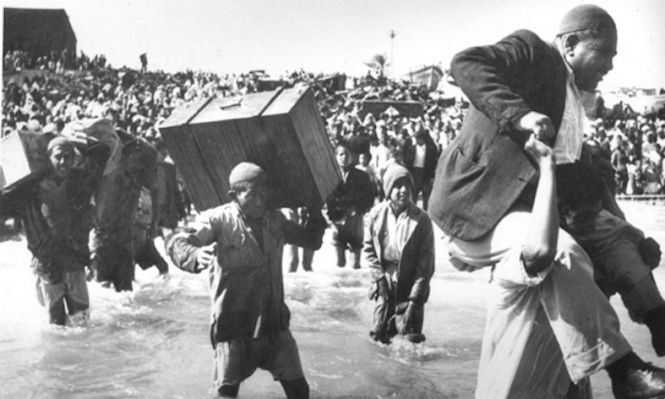 Then comes the second regime, a very discriminative regime toward the Israeli Palestinians: the Palestinians of ’48, the Israeli citizens who are Palestinians, 20 percent of the population. They are discriminated in any possible aspect of life, but they gain formal equal civil rights. They vote. They elect. They could be voted [for]. They can be elected. That’s the second regime. Obviously the third regime, which Israel is hiding, is the military occupation, the military regime in the occupied territories. Here I allow myself to say with no doubt that this is today one of the most brutal, cruel tyrannies on earth. Not less than this. I repeat it—the military occupation in the occupied territories is today one of the brutal, cruel tyrannies on earth. How dare someone call Israel the only democracy in the Middle East, when in its backyard there is one of the most cruel, brutal tyrannies in the world? How can you do it? Can you be half pregnant? Can you be half democratic? Can you be a democracy in the front and a tyranny in your backyard? Here comes the next lie that we should fight: the claim that it is all temporary. No, my friends, it was never meant to be temporary. It is not temporary and it will not be temporary, if it depends on Israel. There was never an Israeli statesman in an important position and in an influential position, prime minister or so, who really meant to put an end to the occupation—none of them. Some of them wanted to gain time in order to strengthen the occupation. Some others wanted to gain time by getting all kinds of interim agreements, just for gaining time. Some others wanted to be perceived by the world, to be hugged by the world, as people of peace. But none of them had the intention to put an end to the occupation. How do I know it? I don’t know what is in their hearts, I know only one thing: Israel has never stopped building settlements. Anyone who builds one house in the occupied territories has no intention whatsoever to put an end to the occupation! And those bluffs should be called. Here I come to you all, I’m very, very skeptical about change from within the Israeli society, because life in Israel is far too good and the brainwashing system is far too efficient. To have a dialogue today with most of Israelis is, even for me, almost an impossible job. Really, it’s many times I find myself together with Catrin, where we meet ordinary Israelis, good people, they would volunteer anywhere. But when you start to talk with them about the occupation, after two minutes you want to just tear your hair [out]. I mean, you don’t know what to do, you don’t know where to start, the brainwashing is so deep and the denial is so deep. The ignorance, the ignorance, they know nothing. Anyone in this hall knows so much more about the occupation than any average Israeli, including those who serve there in the army. They know nothing, and what they know is wrong. So to expect a change from within this society, when restaurants are packed, when life is beautiful, when there is hardly terror in Israel—I mean what they call terror, with those exploding buses and all those things. The only violent attacks are mainly now in the occupied territories. Not in Tel Aviv. Tel Aviv is living a very, very peaceful secure life. So, to expect this society to stand up and to say no more—out of what, what incentive? So as long as this balance is that Israel is either gaining out of the occupation or not paying anything for it, as long as any kind of Israeli doesn’t feel that the occupation is something you should think about, why should he be bothered? He doesn’t pay. He’s not punished. And even if he’s paying, he does not make the linkage. Because even if there were those years of the second intifada which were really, really bloody, with exploding buses and suicide bombers, nobody made the linkage to the occupation. If you dare to make the linkage, you will be immediately accused as a traitor, because how dare you, because you justify terror. So they explode buses because they were born to kill. It has nothing to do with the occupation. So there was no progress or change, even after the violence. So if life is so good, there’s really no reason to go for change. Therefore, the hopes for change from within the Israeli society are really, really very minimal. Again, with all due respect to those groups who are fighting, who are not giving up, who are struggling, who are going to demonstrate every Friday in another village against the fence, against the occupation, against all those things—wonderful people, including many, many young people—but, finally, it is a small group and delegitimized. Therefore, people like me, my only hope is from people like you. This is right now the only hope. We are hearing here today all day, including from Grant’s very, very knowledgeable lecture, figures that are depressing even to me. The Jewish lobby is so strong yet. But by the end of the day, let’s see it in a more realistic way. They are moving now the American Embassy to Jerusalem—big victory for Israel, big victory for the occupation. By the end of the day, what does it mean? It means that the United States has declared officially the death of the two-state solution. It means that the United States has declared officially what we knew for many, many years: that the United States is not and cannot be a fair mediator. It declared that the United States is officially the friend of the occupation, and only of the occupation. It declared officially that the funeral of the two-state solution and the funeral of America as a mediator in the Middle East went to its way already. For the long run, I see it as an achievement. End of the masquerade. End of the masquerade and of the lip service. I’m very grateful—you’ll be surprised—to Donald Trump, who brought us there. Now I just feel sorry for one person—but you know, this is not so much. I really feel so much sympathy, empathy and sorrow for Ambassador David Friedman. He will have to move from Herzliya by the sea, from this lovely villa, to Jerusalem. Believe me, he deserves it. The ambassador of the settlements wears the costume of the American ambassador. He’s even not the ambassador of Israelis. He’s ambassador of the settlements project—and not of all settlements, just the extreme ones, if there is a difference—[who] will have to move to Jerusalem. What is a bigger gift for all of us than to see him among the Orthodox, among the tensions, among the border police at every corner, with all the violence and the tension and the occupation in every step you step in Jerusalem? What will be more of a gift for us than to see him there, rather than to see him in front of the sea of Herzliya? So we shouldn’t give up. If I may, with all my modesty, my ideas for what you should do—whom I am to tell you? I hardly know what to tell myself to do—but still, I saw it in three main issues right now. One must be to fight this unbelievable process of criminalization of criticizing Israel. This must stop, and we shouldn’t give up. We heard today that it’s not only about BDS anymore. Now it’s about any critic of Israel. The fact that someone who raises his voice for justice is criminalized is first of all a domestic problem. What kind of society is this? What kind of society is this that criminalizes those who support justice and praises those who support the violations of international law, the crimes? So this should be one of our goals, not to give up. When they call you anti-Semites—here it’s easier, in Europe they get paralyzed. If you call someone anti-Semite in Europe, he’s paralyzed. And they take advantage of it in a very manipulative way. Don’t let them. You should be proud in raising your voice. BDS right now is the only game in town. BDS is a legitimate tool. Israel is using it by calling the world to boycott Hamas, to boycott Iran. You have the full right not to buy products from sweatshops in South Asia. You have the full right not to buy products from a shop which sells meat. You have the full right not to buy products from a country or from an area that you feel that something is wrong there. What does it mean that you should apologize for boycotting something that deserves boycott? BDS, one can claim that it has not yet reported about real success, economic successes, maybe. But we have one proof why BDS is the right thing to do: Look how Israel gets nervous about BDS. If they get so nervous about it, you can know that’s the right way. Grant, if you’ll invite me next year again, or in two years, I’m not sure I will be able to say those sentences, because those sentences very soon will become a violation of Israeli law. You are not allowed to call people to boycott Israel, but let’s challenge them. The second challenge that I see for you is to try to tear, especially in this country, the lie that Israel is the only democracy in the Middle East. We need it desperately. It’s all about the truth. It’s all about telling the people the truth. As I said before, a state which possesses one of the most brutal tyrannies on earth cannot be called a democracy—period. The last lie that you have to fight, or I allow myself to suggest to you to fight, is the lie that all of this is temporary. After 50 years of occupation—why would we say after 50 years? After 100 years of occupation or after 70 years of occupation—because ’48 never stopped, let’s remember it. It’s the same policy. Those are the same methods, same lies, same brainwash, same explanations and excuses. As long as this continues, nobody can claim that this is temporary. The occupation is there to stay and we should call the bluff and say this colonialistic project has no intention to come to its end, even though here and there are some statements or politicians who claim so. No, you never had an intention to put an end to it, and you don’t have it. As it says zero, zero, zero in my timer—is it an appreciation for my talk, Grant, three zeroes? In any case, my last sentence would be what should be the solution. It was mentioned here; therefore, I’m not getting into elaborating on it, but I just feel committed to say so. For many years I was a great supporter of the two-state solution. I saw that the two-state solution is a reasonable and achievable solution. Total justice will never be achieved in this part of the world, but I saw that this will be a relatively fair and just solution, even though a lot of injustice is about it. Above all, we are [talking] about 22 percent [of the land] to the Palestinians and 78 percent to the Jews. While we are facing today—I don’t know how many of you are familiar with the very dramatic fact that today, already today, between the Jordan River and the Mediterranean, they are exactly 50-50: 6 million Palestinians and 6 million Jews. If you count 2.5 million in the West Bank, 2 in Gaza and 2 in Israel, you get over 6 million Palestinians, and there are 6 million Jews, roughly speaking. Maybe I’m wrong in some figures, but it is roughly half and half. Two peoples equal, right now. So if someone thinks that one people can dominate another people—and let’s get back to Zionism and to the title of this talk—the basis of Zionism is that there is one people which is privileged over the other. That’s the core. This cannot go on. If it goes on, it has only one name. Here we call it apartheid. 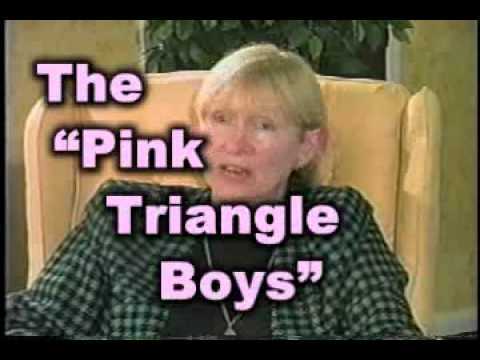 So I totally join your analysis today [pointing to Dr. Virginia Tilley], which I learned a lot from, and others. Even if it sounds now like a utopia, even if it sounds now like something unthinkable, it’s time for us to change the discourse. It’s time for us to talk about equal rights; about one person, one vote. And let’s challenge Israel. Israel will say no. Then we can officially declare Israel as an apartheid state, because there is no other way. If you deny equal rights, you are not a democracy officially. It’s not a question of point of view, of opinion. It’s a matter of fact. Israel obviously will say no. But we shouldn’t give up, because by the end of the day I truly believe that Palestinians and Israelis, Palestinians, Jews, can live together. We tried it in the past. It is being tried today in all kinds of small frameworks. We can really live together, believe me. I’d rather have a Palestinian prime minister than Yair Lapid or Binyamin Netanyahu. So by the end of the day we should be clear about the hope, about the vision. We should understand that the road is still very, very long to go. We’re just in the beginning. But unlikely, at least for me, unlikely in the last years in which I continued to say, almost in my sleep, two-state, two-state solution, two-state solution—knowing that it will never happen, knowing that no one is going to evacuate 700,000 settlers, knowing that nobody meant to do it, and knowing that it will not solve the basic problem. Posted in SPREADING TRUE STORIES FROM THE HOLY LAND. Tagged Gideon Levy, Israel, US. Zionism is one of the two religions of Israel. And as any religion, you can’t question it. The second religion is obviously the religion of security. Anyone in Israel who dares to raise any kind of question marks is immediately perceived as some kind of traitor. We are getting it with the milk of our mothers… It’s very hard to understand from the outside, how an ideology became part of the DNA. How an ideology became something that must be taken for granted. [Growing up] I know what I thought about those very very few who claimed they were not Zionists or god forbid, anti-Zionists. They were the Satans, even though they were Jews and Israelis. When it comes to Zionism, there is no difference in Israel between left and right. When it comes to occupation, which is part and parcel of Zionism, there is no meaningful difference between left and right…. The difference is only by rhetorics. Israel will not change if Benjamin Netanyahu is removed as prime minister. There is no light around the corner. By the end of the day when you judge the real policy, not the rhetorics, yes Labor and the left are having much more sympathetic rhetorics… Shimon Peres… didn’t stop talking about putting an end to the occupation… He didn’t stop talking about it’s not democratic and it’s not justice that one people governs another people, beautiful beautiful ideas that Benjamin Netanyahu and those rightwingers would have never said. But Nobel prize winner Shimon Peres is the founding father of the settlements project. So what do we get out of this nice rhetorics except showing a nice face of Israel and doing the very very very same crimes. Occupation is off the table in Israel. Nobody talks about it, nobody discusses it, nobody is concerned about the occupation… It’s like the rain, like the sun.. Some like it, some like it less. But nobody thinks that anything can be done about it. It doesn’t bother us so much, that’s the truth. It’s only a half hour from our homes, but who hears about it and who cares about it. And the crimes are on a daily basis. The Israeli media are in the tank on Israeli propaganda about the Tamimi family. The media hardly covers them, and if they cover them, it will always be according to the Zionist narrative. A terrorist of 12. A girl of 14 with scissors in her hands as an existential threat to the state of Israel. A girl who is slapping a soldier as someone who deserves life sentence. Not less than this! A girl that one hour before her cousin was shot in the head 50 meters from her home. So now the Israeli army claims that this was fabricated. I mean, even the Israeli propaganda lost its shame. When Israel dares, dares to claims that this child Mohammed Tamimi whom I met a few days after he was injured, he lost half of his brain, that he fabricated his injury, then you see that Israel is really desperate. If Israel needs this kind of level of propaganda, if Israel is getting so low, in denying shooting in the head of a child of 15– and claiming that he falls from his bicycle– then you know that things are getting worse. Maybe it’s a hope for a new beginning, but right now look how low does it get there. 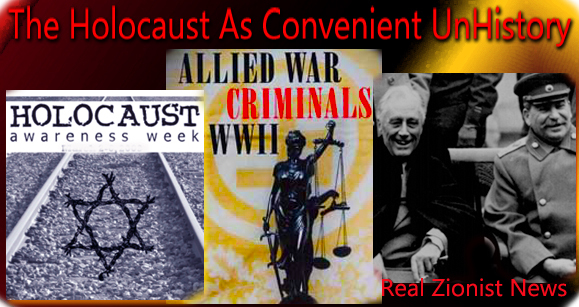 It’s totalitarian– no society lives in as much denial as Israel. And all those are passing Israeli society as if nothing is happening. No question marks. Very little moral doubts if at all. A coverup. Living in denial like never before. I cannot think about one society that lives in such denial like the Israeli society, and again it includes left and right. Except of the very devoted extreme left, activists, let’s remember them. But they are really small figures and totally totally delegitimized…. The occupation must go on, Ahed Tamimi must stay in jail forever, and the crimes must continue because we have no other choice. There are three core values of Israeli culture that enforce the totalitarian discourse. The first value: we are the chosen people. Secular and religious will claim it. Even if they don’t admit it they feel it. If we are the chosen people, who are you to tell us what to do. The second very deeply rooted value: we are the victims, not only the biggest victims, but the only victims around…. I don’t recall one occupation in which the occupier present himself as the victim. Not only the victim– the only victim…. There is a third very deep rooted value. This is the very deep belief again everyone will deny it but if you scratch under the skin of almost any Israeli you will find it there, the Palestinians are not equal human beings like us. They don’t love their children like us. They don’t love life like us. They were born to kill, they are cruel, they are sadists, they have no values, no manners… This is very, very deep rooted in Israeli society. And maybe that’s the key issue. As long as this continues, nothing will move. We are so much better than them, so much more developed than them, more human than them. All our dreams will never become true so long as this core conviction will not change. Breaking the Silence should have been an “earthquake” in Israeli society. But it was crushed. Anyone who raises a question is immediately erased, demolished. Look at the Jewish lobby so called in Israel, and Breaking the Silence. For years we were dreaming of the day that soldiers would stand up and tell the truth. 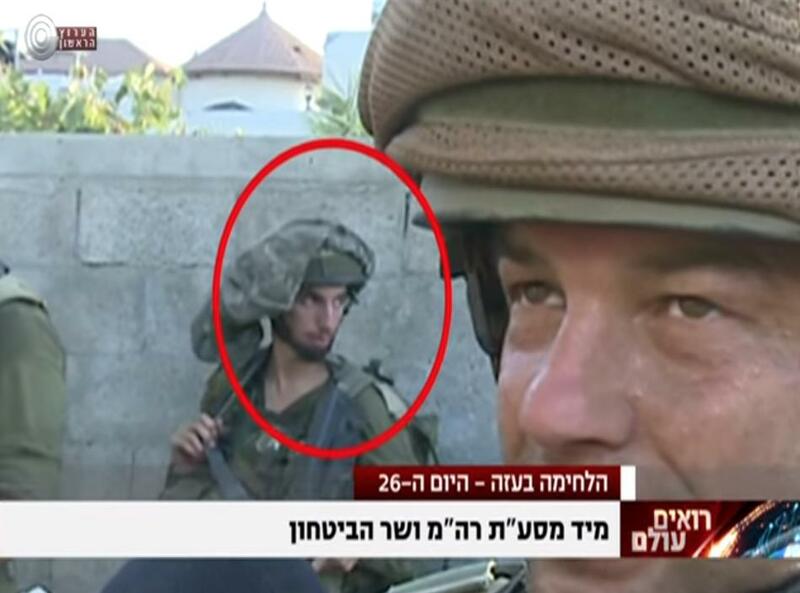 Not Gideon Levy the liar the traitor… no, soldiers who have committed those crimes will just come and testify about what they had been doing. And here it came. Over 1000 testimonies, of soldiers who in a very brave way gave their testimonies about what they have been doing in the occupied territories throughout the years. This should have been an earthquake in any healthy society. It’s our sons. But what happened? Nothing. Breaking the Silence was immediately delegitimized by the establishment with the typical collaboration of the Israeli media. I’m afraid to say that Breaking the Silence is crushed today. And this was just one example. Israeli society has a very clear intention to crush any type of criticism, from within or outside. The occupation is not temporary. It was never meant to be temporary… There was never a statesman in an influential position, prime minister or so, who really meant to put an end to the occupation. None of them. Some of them wanted to gain time in order to strengthen the occupation… Some others wanted to be perceived by the world, to be hugged by the world, as people of peace. But none of them had the intention to put an end to the occupation. How do I know it? Israel has never stopped building settlements. And anyone who builds one house in the occupied territories has no intention whatsoever to put an end to the occupation. Israelis have it too good to even think about occupation. And the brainwashing is too deep for the facts to get through. I am very very skeptical about change from within Israel because life in Israel is far too good, and brainwash system is far too efficient. To have a dialogue today with most Israelis citizens is even for me an impossible job…. Brainwash is so deep and the denial is so deep and the ignorance. They know nothing. Anyone in this hall knows so much more about the occupation than any average Israeli, including those who served there in the army… So to expect a change from within this society, when restaurants are packed, when life is beautiful, when there is hardly terror in Israel… The only violent attacks are mainly now in the occupied territories… Tel Aviv is living a very, very peaceful secure life. To expect this society to stand up and say, No more– out of what? What incentive? The hopes for change from within Israeli society are really very, very minimal…. People like me, my only hope is from people like you. Trump’s move of the embassy to Jerusalem is good news in the end, for it removes any illusions about the U.S. role. 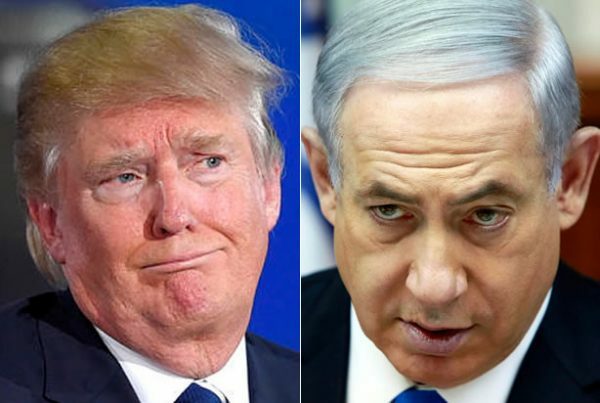 It means that the United States has declared officially the death of the two state solution… The United States has declared officially what we have known for many years, the United States is not and cannot be a fair mediator…. United States is officially a friend of the occupation and only of the occupation… For the long run I see it as an achievement, end of the masquerade, end of the lip services. And I’m very grateful, you’ll be surprised, to Donald Trump, who brought us there. Activists should fight the Zionist project on three fronts. First, stand up for Boycott, Divestment and Sanctions (BDS) against efforts to criminalize it. One must be is to fight this unbelievable process of criminalization of criticizing Israel. This must stop and we shouldn’t give up… When they call you anti-Semites– they get paralyzed. If you call someone an anti-Semite in Europe he is paralyzed, and they take advantage of it in a very manipulative way. Don’t let them! You should be proud in raising your voice. BDS right now is the only game in town. BDS is a legitimate tool. Israel is using it, by calling the world to boycott Hamas, to boycott Iran. You have the full right not to buy products from sweat shops in South Asia…. What does it mean that you should apologize for boycotting something that deserves boycott? We have one proof why BDS is the right thing to do. Look how Israel gets nervous about BDS, and if they get so nervous about it you can know that is the right way… Those sentences very soon will become a violation of Israeli law. You are not allowed to call people to boycott Israel, but let’s challenge them. Two and three– counter Israeli propaganda. The second challenge is to try and tear especially in this country the lie that Israel is the only democracy in the Middle East. We need it desperately… It’s all about telling people the truth. A state that possesses one of the most brutal tyrannies on earth cannot be called a democracy, period. The last lie I suggest to you to fight is the lie that all this is temporary…. ’48 never stopped. Let’s remember it. It’s the same policy, those are the same methods. Same brainwash, some explanations and excuses. As long as this continues, no one can claim that this is temporary. The occupation is there to stay. The two state solution is over, and we must struggle for equal rights, between river and sea. The very dramatic fact, today between the Jordan River and the Mediterranean, there are exactly 50/50: Six million Palestinians and six million Jews… It is roughly half and half, two peoples equal right now. If someone thinks that one people can dominate another people, and let’s get back to Zionism… the basic of Zionism is that there is one people which is privileged over the other. That is the core. This cannot go on. And if it goes on, it has only one name… apartheid. Even if it sounds now like a utopia, even if it sounds now like something unthinkable, it’s time for us now to change the discourse, it’s time for us to talk about equal rights, about one person one vote. Let’s challenge Israel. Israel will say no, then we can officially declare Israel as an apartheid state. We shouldn’t give up… I truly believe that Palestinians and Israelis, Palestinian Jews, can live together. We tried it in the past. It is being tried today in all kinds of small frameworks. We can really live together, believe me, I’d rather have a Palestinian prime minister than Yair Lapid or Benjamin Netanyahu. In the question period, Levy said that the occupation would not last even for a few months without American support. And that Israel would change if it is truly isolated by Europe, so that Israelis face travel restrictions. Yes, outside pressure will at first unite Israel, but that will soon change. I can assure you after the first rhetorics of, we are all united against the world, they hate us, then rationality will come into the picture. When Israelis will be prevented from going to Macy’s for their shopping, or to Galleries Lafayette in Paris for their shopping, this is the day that the occupation will be over. Posted in SPREADING TRUE STORIES FROM THE HOLY LAND. 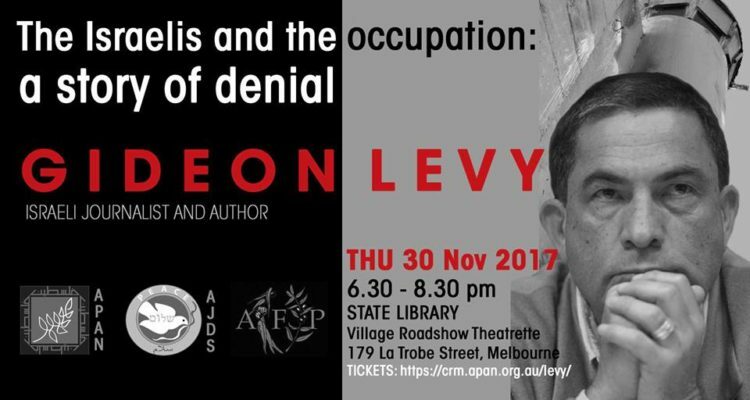 Tagged denial, Gideon Levy, Israel, totalitarian.